Fat burners are one of the industry’s biggest cash cow supplements, but most don’t work. The few fat burning supplements that do work tend to be stimulants or help people eat less or make dieting less uncomfortable. No fat burning supplements are going to get you the physique you want, but they can make small differences that add up over time. Frankly, I don’t like this topic. Among all genres of supplements fat burners are surrounded by the most misinformation and blatant lies. Can’t blame the U.S. for being fat this time, although you’re definitely up there (no worries, we’re still pretty blubbery up here in our Canadian igloos). Don’t get me wrong, I do believe in the concept of fat burners. We have Phoenix here which I absolutely adore (not gonna lie, good chunk is in the name itself) but we need to be realistic. 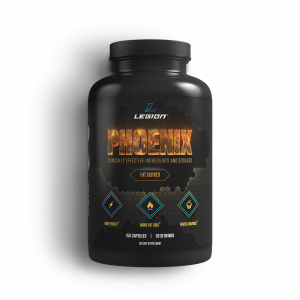 Phoenix was made to be the best fat burner we could legally make while also being safe enough that we could sleep at night knowing that it works and isn’t hurting anyone. It’s far from a magic bullet though; all fat loss supplements are. Anyways, enough pessimism. You didn’t come here for pragmatism and dietary advice, you came to see what we feel are the three best and worst fat burning supplements. What Makes a Good (or Bad) Fat Loss Supplement? Fat burners are things that either cause you to lose fat directly or make it easier to lose fat indirectly by increasing mood during a fat loss diet or curbing appetite; both of those making it easier to exercise and not eat too much. Good fat burners do this job well by either being demonstrated to increase your metabolic rate and cause fat loss directly or from making changes (usually to appetite or cognition) that make fat loss diets more tolerable. Bad ones either fail to do the above or harm the body in some unacceptable way. When it comes to what makes a good fat burner we need to look at them in the context of both diet and exercise. The three of them, as well as lifestyle in general, need to be considered when it comes to “good” fat burners. Something that benefits one of the above parameters for fat loss, while impairing the others, will simply be counterproductive. Something that increases fat loss but makes you weak as a kitten isn’t going to help you work out. Something that burns fat but drastically increases hunger is either going to shoot itself in the foot or just make you miserable. And something that helps you curb your cravings so you eat less, but makes it harder for you to expend calories, is counterproductive. These three supplements were chosen simply because they check all of these boxes and work in the greater context of fat loss. They meaningfully increase your rate of fat loss without making you weak, lethargic, overly hungry, or hyper-stimulated. This is because the A1 receptor that promotes wakefulness when blocked doesn’t become resistant to caffeine. The A2A receptor, which mixes with dopamine and adrenaline signalling, will become less responsive over time. The adrenaline causes an increase in metabolic rate which is related to how much caffeine reaches the blood. See a pattern so far? The only issue here is that caffeine does have different effects on the body depending on whether you use it infrequently or daily. In fact, chronic usage of caffeine seems to lessen the intensity of adrenaline-mediated effects in the body. This is because caffeine has both short-term and long-term effects and the increase in adrenaline is something that happens in the short term, but then your body adapts to it, leaving you only with the long-term effect of promoting wakefulness. It’s why the first coffee you ever had was very stimulating but, if you’re a frequent coffee user, then you could probably have a coffee before bed and feel fine. As such, caffeine used for multiple weeks for the intention of fat loss doesn’t look all that promising. It has great promise as a fat loss agent but, ultimately, if you want to use it for this purpose only use it either once a week (on really hard workout days) or maybe for one week per month. If you decide to take caffeine to lose fat then either take 100-200 mg for a week at a time or, if you want to double-dip and get the strength enhancing effects of caffeine (which are also seen with infrequent usage only) then 500 mg once a week would work. Caffeine is a top three fat loss supplement as, while it is potent in the short term at increasing metabolic rate, it provides continual support and wakefulness during fat loss diets and works fairly well with other effective fat loss supplements. Despite not being legal to sell in a supplement targeted for fat burning anymore, ephedrine is still something that can be obtained as a nasal decongestant (ephedrine and pseudoephedrine work quite well for this) and is, in a way, the granddaddy of fat burners. It simply works, that’s it. Ephedrine works by acting on beta-adrenergic receptors, mostly beta-2-adrenergic, and due to this increases metabolic rate. The adrenergic receptors are those that normally respond to adrenaline itself and, by activating them, ephedrine partially mimics adrenaline. What makes ephedrine even more interesting is that it works within an hour and, to a first-timer, only works for an hour. To those who take it frequently it can actually work better than initially and is known to work better when paired with caffeine. The degree of potency is definitely variable with increases of metabolic rate (at rest) between 3.6% and 7.1%, maybe even 10.7% when paired with caffeine. To clarify these are not whole day increases, just transient, but still quite impressive when you take it thrice a day. Ephedrine’s mental stimulation is also more potent when the diet is more restricted in calories, the time when a pick-me-up is needed most in dieting. It sounds wonderful, so what’s the catch? Well, it’s an effective stimulant that doesn’t have the god-like safety buffer of caffeine. That is, you don’t have to take that much to exceed the safe upper limit, which is why it was banned after some people took too much and hurt themselves. Ephedrine won’t hurt a healthy person when proper dosing is adhered to (usually 20 mg thrice a day) but if you take too much, pair it with other stimulants, and don’t take care of your health, it can become the straw that breaks the camel’s back. It’s also not something to take with high blood pressure, no stimulant is. Ultimately, double-edged swords like fat loss stimulants can still be useful if you take care to only swing the sword in a controlled manner, but bad stuff can happen if you don’t respect the dose. And finally, synephrine is a compound that acts like ephedrine (only weaker) that is used in many fat loss supplements these days. Synephrine has many of the same effects as ephedrine, but the magnitude of the effects, and side effects, is smaller. If you decide to take ephedrine then the safest dose is 20mg taken thrice a day (taking either 16mg or 24mg is fine as many tablets are 8mg each). It should not be used in people with cardiovascular or mental health conditions and, if using it for the first time, start at a lower dose to assess tolerance. Try not to pair with other stimulants at the same time if you are not used to stimulants. And if you decide to take synephrine take between 50-100mg over the course of a day starting on the lower end of things if you are not used to stimulants. Similar to ephedrine, do not use if you have cardiovascular or mental health conditions. Ephedrine, and to a lesser degree synephrine, are a top three fat loss supplement since they work on fat cells to increase metabolic rate and fat loss. They’re simple, effective, and proven. I specifically designed our stimulant-free fat burner, PHOENIX, to provide synephrine at an active dose (approximately 50 mg) with other components that make it work better. PHOENIX also contains white willow bark extract in an attempt to mimic the ECA stack with some added goodies to help either with fat loss or to support mood during caloric restriction. Yohimbine is quite similar in a way to ephedrine in concept. It’s a stimulant that works, it works damn well, and taking too much can hurt you. They do differ in a way though. Ephedrine (and synephrine) work on beta-adrenergic receptors while yohimbine is a potent blocker of the alpha-adrenergic receptors (specifically A2A, not related to the adenosine receptor called A2A). Both classes respond to adrenaline but the beta class are basically the ‘go’ button while the alpha class are the “stop” button when it comes to fat loss. Yohimbine blocks the stop button while also releasing adrenaline itself from neurons. Releases adrenaline then helps it work on fat cells; win-win. Human studies have shown that yohimbine increases the fat burning effects of adrenaline in healthy normal-weight men, and this results in fat loss. There are some unique benefits of yohimbine as well; being used in spot removal cream (with some benefit acutely with no long-term studies) and actually being orally effective in athletes who already had 9% bodyfat. That’s pretty big. Most studies on fat loss supplements focus on unhealthy obese subjects where many things work. Almost nothing among dietary supplements is shown to make people with six-packs even leaner and yohimbine is the only supplement with direct science on it. That being said, yohimbine does have side-effects that need to be mentioned. Unlike ephedrine, however, some of these will happen even if you respect the dose. First and foremost, above all else, do not take yohimbine if you suffer from panic or trauma disorders like PTSD. Panic and trauma are well researched but, if you want to study them, you need to induce panic in your subject; no? When scientists want to force a subject into a panicked state they either administer carbon dioxide (to cause hyperventilation) or they inject people with yohimbine. Both are effective in causing panic even in any subject but those with panic disorders are much more sensitive. If you suffer from a panic or trauma disorder then even orally supplemented yohimbine is a risk factor for inducing panic attacks. If not, however, then just respect the dosage. You could probably force yourself to have a panic attack even without any disorder if you eat too many pills but, like, don’t do that? To get the benefits of yohimbine, take at least 10-20 mg once a day as it is the lowest effective dose that doesn’t seem to cause much cardiovascular or mental danger. Doses up to 50 mg in a day have been tolerated before in some studies but, when paired with other stimulants, are more likely to cause side-effects like anxiety and panic than the lower dose. Yohimbine is a top three fat loss supplement due to its ability to release adrenaline, allowing it to work better, and being a rare example of improving fat loss in already lean athletes. That’s why I included yohimbine as the main ingredient in our pre-workout fat burner, FORGE. The yohimbine FORGE maximizes the amount of fat you lose during fasted training, and the HMB minimizes muscle loss. Sustained fat loss, thy name is convenience. I know I said the “top 3” fat loss supplements but, after mentioning that fat loss has many facets to it, it felt weird to simply just have three things that all worked by increasing adrenaline. There needed to be a more practical, and perhaps non-stimulatory, example to add to this list. I figured, then, that why not mention the humble protein powder. Whey protein does not have any inherent fat loss properties and consuming 120 kcal of whey protein is still 120 kcal of protein (yes, protein has a higher thermic effect of food than other macronutrients but let’s ignore that for now). But ask anybody who has lost a large amount of fat and how they did it and you get a very similar answer most of the time. The vision of a chicken breast with a side of broccoli is often associated with fat loss diets because, well, it works. Unfortunately life comes at you fast and sometimes you need to improvise. Many people don’t make precooked meals and store them in tupperware in the fridge, so what are you to do when you need to go somewhere unplanned? What if you’re too tired to cook yourself a meal? Who will save you? Well, that big ol’ bottle of chocolatey goodness you have sitting around (or vanilla, I don’t judge). Mix with water and chug, the macronutrients are basically similar to a chicken breast and can save you in a pinch. Protein supplements are commonly associated with fat loss since they are effective and convenient ways to stick to your diet when life tries to throw you a curveball. They provide flexibility and a tasty diversion from the taste of lean meat to help you on the daily grind. 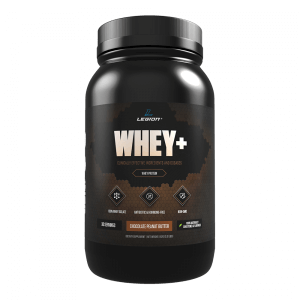 Whey protein is a top three fat loss supplement since fat loss takes time and consistency, and whey protein is a relatively cheap and very effective way to stay on your diet. The following supplements may seem somewhat haphazardously chosen since, let’s be real, there are a few dozen supplements that are claimed to help you lose fat without actually doing that. You can’t get more zero than zero itself and failure is failure. The following three supplements were chosen because their failures are also associated with other problems. Hoodia gordonii was, for the most part, a flavor of the year fat burner that came along in January to be sold to resolutioners and later faded from obscurity for the most part. It can still be found here and there but, overall, it’s not to popular these days. Which is good since the entire reason it was sold as a supplement was because it was a small desert cactus eaten in African countries when food and water were scarce to mitigate thirst and hunger pangs. It was then assumed to help people who had a surplus of food and water already by helping them eat even less. Context is sort of, you know, polar opposite here. It was sold before studies on it came out. When they did, it was not only found ineffective for both appetite and weight loss but increased blood pressure and liver enzymes (signifying that it damaged the liver); all with a standard supplemental dose in only two weeks. Usually when harm is associated with a supplement it’s when you take way too much of it over the course of months. The recommended dose causing liver damage in two weeks? Bloody hell that’s bad. Hoodia gordonii is a top three fat loss failure since it actively harms you and, despite that, doesn’t even have the common courtesy to help you lose fat. To come right out of the gate, CLA has been noted at times to help people lose body fat. I don’t want to give the impression that it doesn’t work at all. There are also numerous times where it has been shown to not be more effective than placebo. And a time where it…wait…it made people gain weight? Conjugated linoleic acid is known as two other things; the acronym of CLA and the descriptor of unreliable. The active dose of CLA is known and CLA does seem to affect the body but, as to what it will do, it’s essentially a coin flip. Tons of evidence has been gathered on CLA and it is very well researched but the main question still escapes us; why does CLA work so differently in some people compared to others? Is it gender, is it initial body fat levels, health state, or an untested variable? All we know for sure is that supplementing with CLA is like playing financial roulette and you don’t know what will happen. Conjugated Linoleic acid is a top three fat loss failure because it is so unreliable it has hilariously increased weight gain in one study. I recently wrote an entire article on this little guy but it does deserve a place on this list. When it comes to garcinia there was promising rodent evidence followed by lacklustre human evidence that, for the most part, suggested that there was a huge species difference and that it wasn’t a good fat loss agent. So logically it should have been put on the backburner, studied further, and if it was to re-enter the supplement market, marketed for a specific purpose, right? It became the best selling fat loss supplement of all time because of forced marketing and preying on people’s inability to read scientific studies. In other words, fake science. Surely if something sells well then that means it works, right? Really, point at all the bodybuilders and models (i.e. the people you want to be) who say they use garcinia to help them lose fat and you’re going to find bunch of athletes associated with companies that sell garcinia. The independent ones just doing it to look good? They either don’t use fat loss supplements, instead focusing on diet, or they like the ECA stack or fat loss supplements that somewhat mimic ECA. Yohimbine is also popular with them. When the people at the starting line love a product that is supposed to help them in the race but people at the end who succeeded were those who didn’t take said product, it’s not a product that will help you. Garcinia cambogia is a top three fat loss failure due to having no good evidence on it but still being a plague that makes fat burners look like they are only snake oil to many people. Good fat burning supplements tend to be stimulants or things that can make your diet easier. Stimulants work by increasing adrenaline and, secondary to that, provide both inherent fat burning properties with ‘side-effects’ that are beneficial to weight loss diets such as increased mood during food restriction, mental energy, and appetite suppression. But they can be potent, especially when paired with other stuff, and you need to be prudent about how you take them so you don’t hurt yourself. Specifically, you want to take 3 to 6 mg of caffeine per kilogram of bodyweight per day (which you can get from my pre-workout supplement PULSE). You can’t get ephedrine in fat loss supplements, but you can get a similar compound called synephrine from 1 to 2 servings of a natural, stimulant-free fat burner (like PHOENIX, which I designed specifically for this purpose). 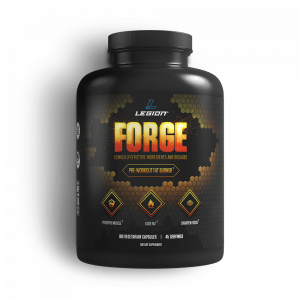 You want to take 0.1 to 0.2 milligrams of yohimbine per kilogram of bodyweight before training (which you can get from my pre-workout fat burner FORGE). Since your diet is the main thing that will help you lose weight, and since weight loss is a long journey, things that help you stick to the diet are very valued. Nothing is more practical and convenient than a delicious beverage that just so happens to have the nutritional value of a chicken breast but with calcium, like whey protein. And if you want a high-quality, clean, and tasty whey protein powder, I suggest you try WHEY+. Let’s be clear, it’s very rare for something to be new and exciting but also well researched. It takes decades for evidence to accumulate and, if it works, it’s probably already on the market. A good rule of thumb is also that if you never heard about it in December, but it’s all the rage among resolutioners in January, then it’s bad. What’s your take on fat loss supplements? Have anything else to share? Let me know in the comments below!